Join Barbie™ and her sisters Skipper™, Stacie™ and Chelsea™ as their holiday vacation plans turn into a most unexpected adventure and heartwarming lesson. After a snowstorm diverts their plane, the girls find themselves far from their New York destination and their holiday dreams. Now stranded at a remote inn in the tiny town of Tannenbaum, the sisters are welcomed by new friends and magical experiences. In appreciation for the wonderful hospitality they receive, they use their musical talents to put on a performance for the whole town. 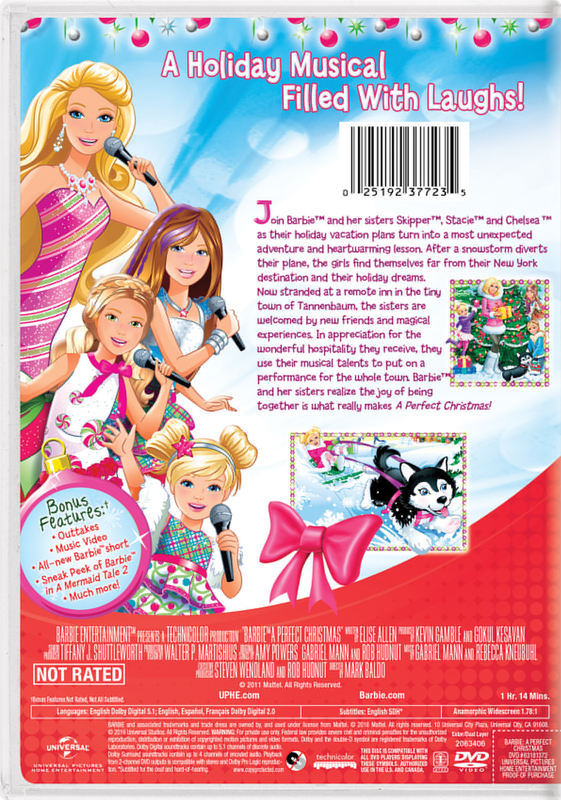 Barbie™ and her sisters realize the joy of being together is what really makes A Perfect Christmas!